A new book by local author Phil Hoose tells a story of racial integration hastened by Indianapolis high school champions. An intriguing collaboration between the Portland Public Library and Portland High School brought together a local author with roughly 200 ninth-graders Wednesday morning to talk about basketball, race relations and perseverance. Hoose tells the story of Crispus Attucks High School and its basketball team, which in 1955 ended 44 years of frustration for Indianapolis schools in the state tournament while also becoming the first all-black school in the United States to win a racially open tournament. A year earlier, in 1954, tiny Milan High had won the state tournament, which ignored enrollment sizes until the 1997-98 season (when it split into four classifications), and provided inspiration for the movie “Hoosiers”. Thanks to Hollywood, Milan became the celebrated underdog from Indiana, but Attucks High may have had to overcome even more: poverty, segregation, prejudice, biased officials, substandard facilities and a 15-year ban on participating in the state tournament. Oh, and the very existence of the school came about because Indiana in the 1920s was heavily influenced by the Klu Klux Klan, which pushed a system of racial segregation known as Jim Crow. Hoose said that in 1924, roughly one in three adult white males in the state – about 250,000 in total – belonged to the Klan. One of them, he discovered later, was his grandfather. “The fact that these kids came through all that adversity tells you a lot,” said Jake Bouchard, a Portland High sophomore basketball player who was one of two students asking prepared questions of Hoose following his narrated slideshow presentation. The other questioner, Grace Stacey, is a senior basketball player. She and Bouchard devoured their advance copies of the book. Portland High basketball players Jake Bouchard and Grace Stacey listen as local author Phil Hoose answers their questions about his new book “Attucks! Oscar Robertson and the Basketball Team That Awakened a City” on Wednesday at the Portland Public Library. 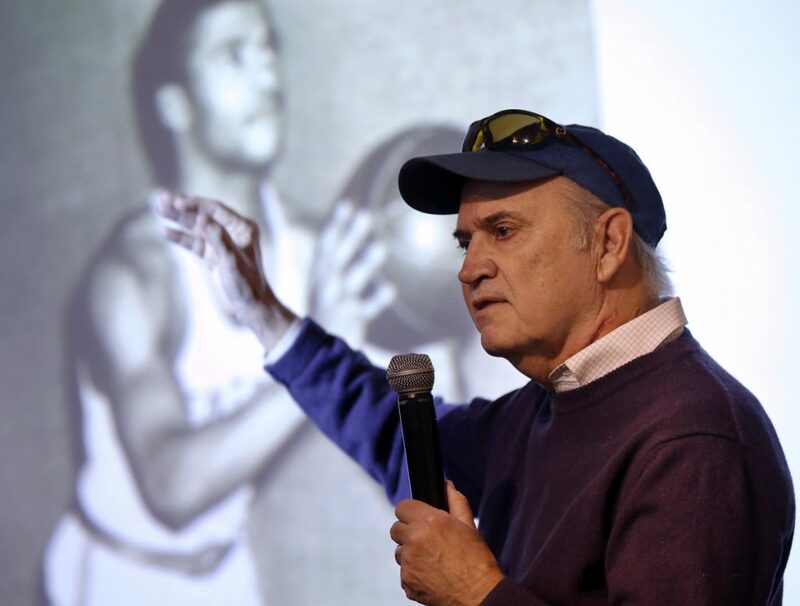 To prepare for Wednesday’s symposium, students read excerpts of the book, reviewed the Civil Rights movement and watched a video about Robertson (who went on to co-captain the 1960 U.S. Olympic champions before turning pro and eventually becoming enshrined in the Basketball Hall of Fame). 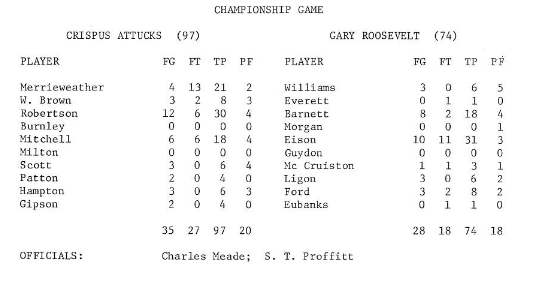 A chapter of that book focused on Attucks and the 1955 title run, but not until three years ago did a publisher agree to Hoose’s proposal for a book.